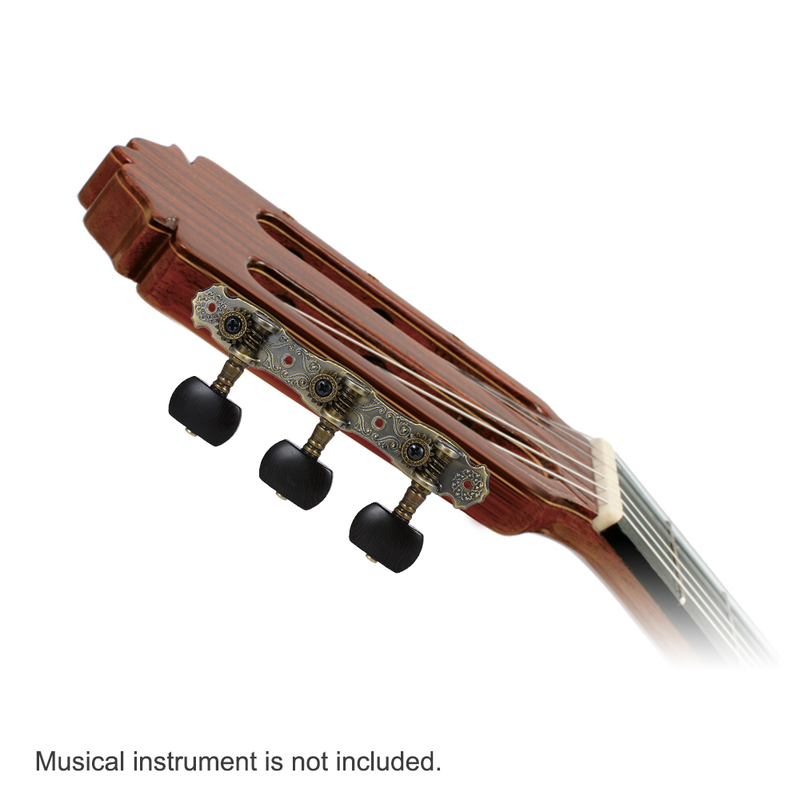 2pcs (Left & Right) string tuning keys designed for classical Guitars. 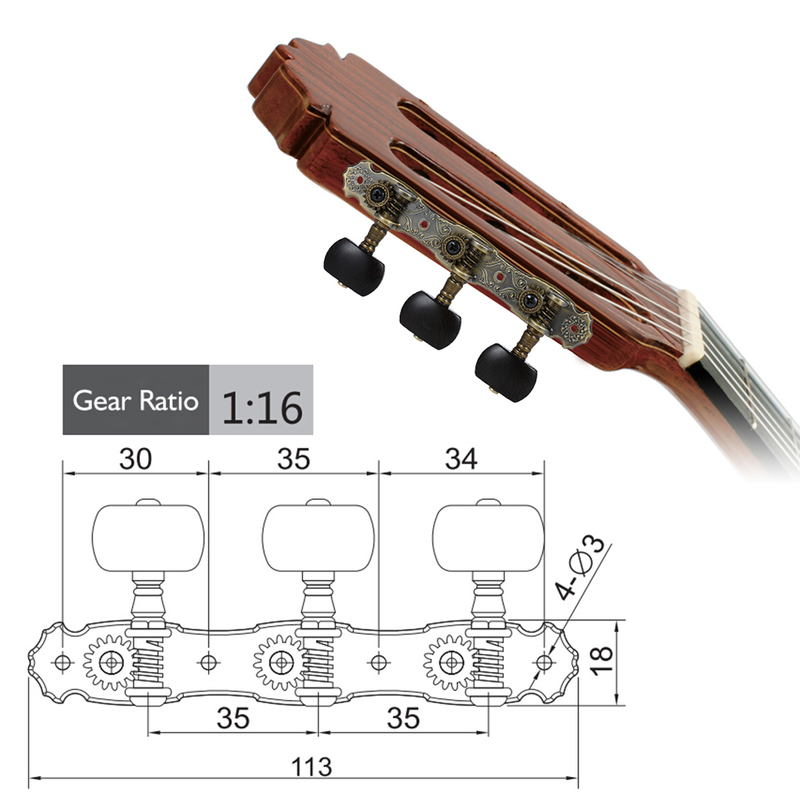 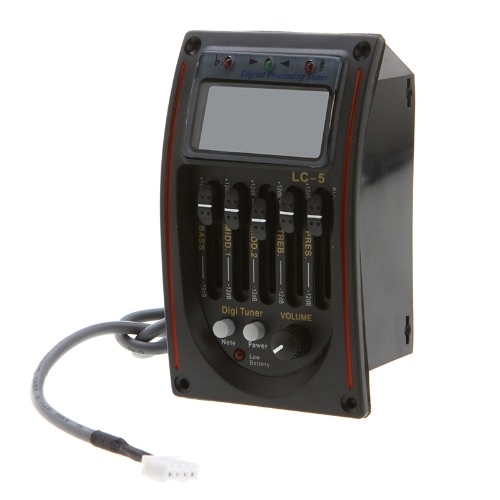 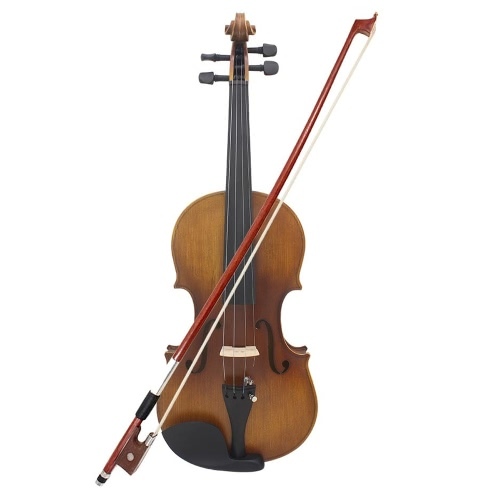 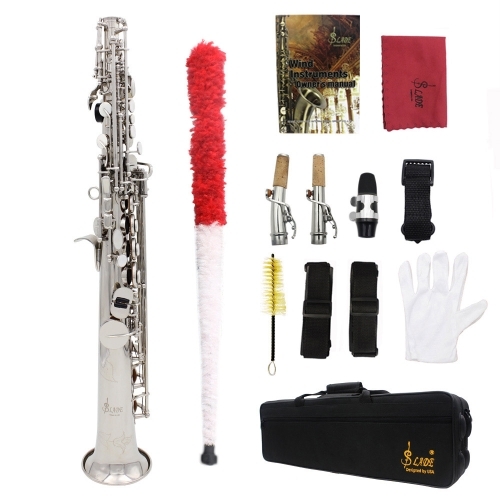 Gear ration 1:16, reliable for easy, smooth and precise tuning. 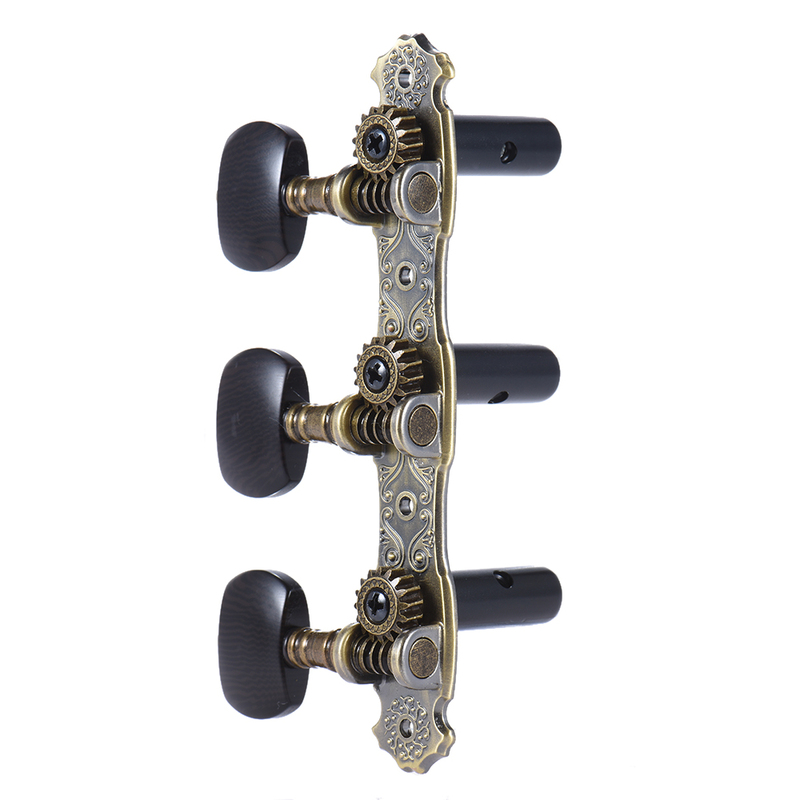 Bronze plated alloy panel with beautiful emboss patterns. 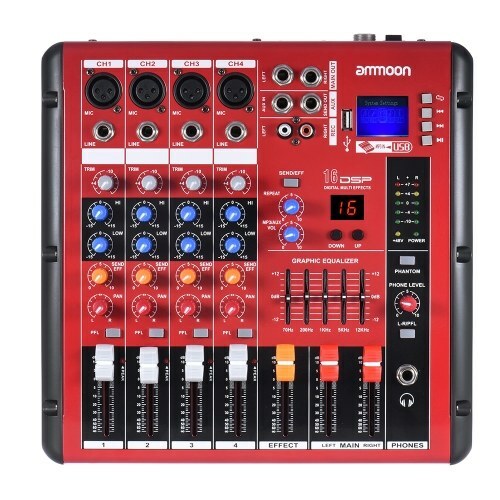 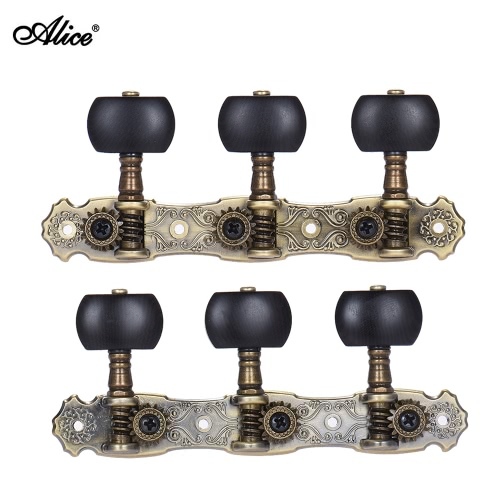 3 high-quality machine heads equipped with exquisite buttons. 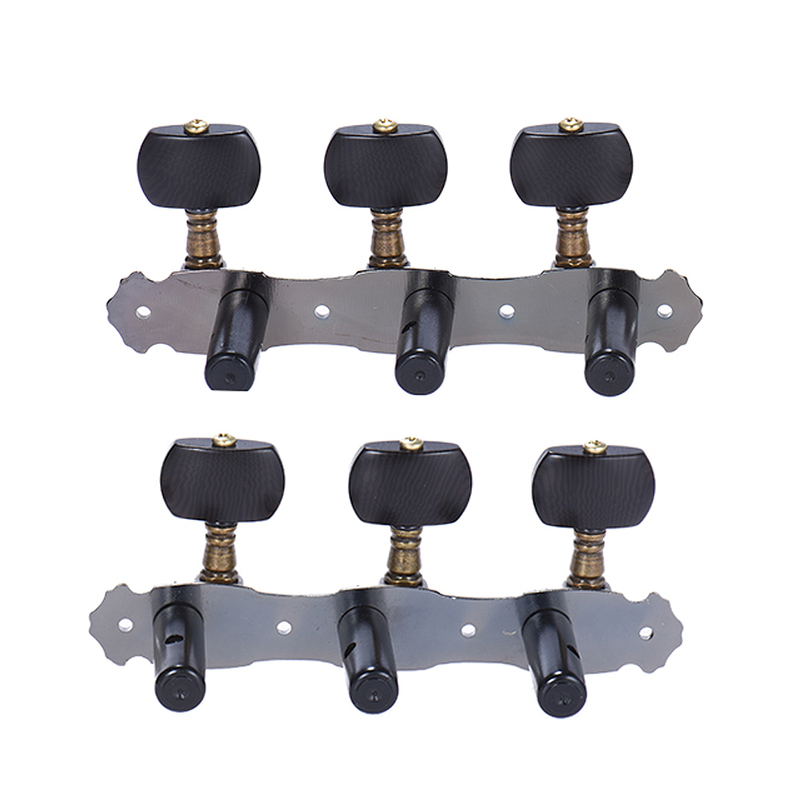 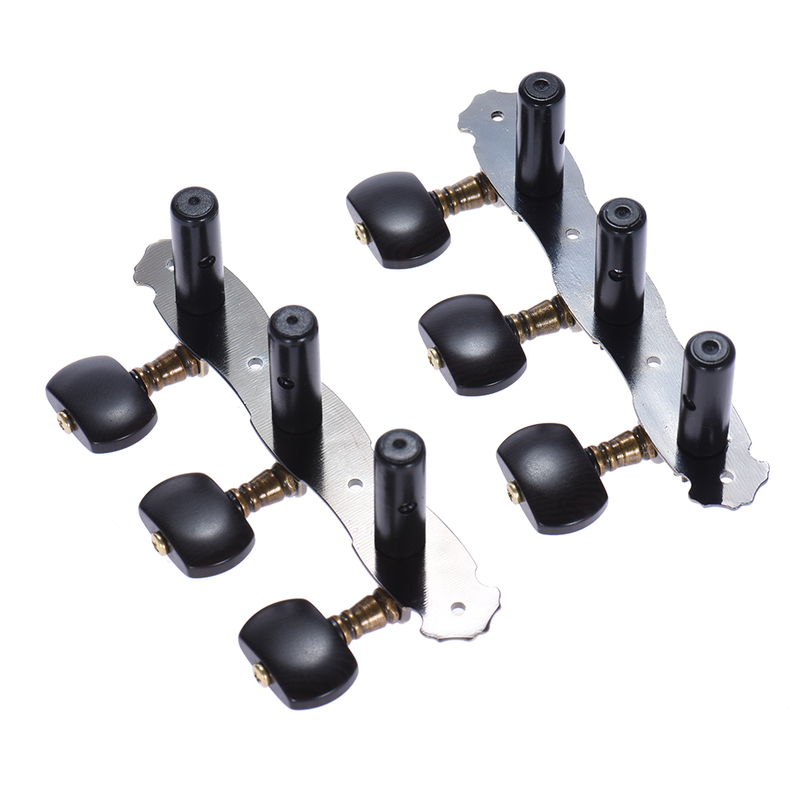 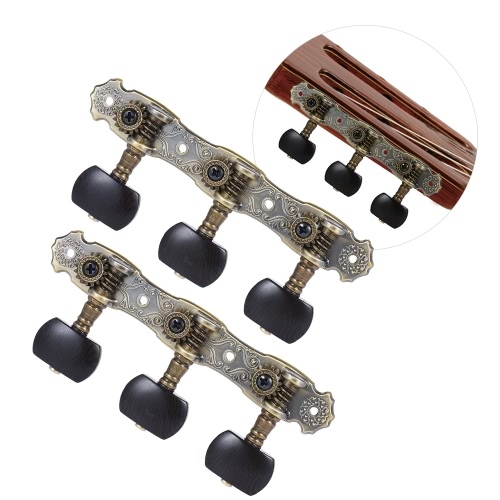 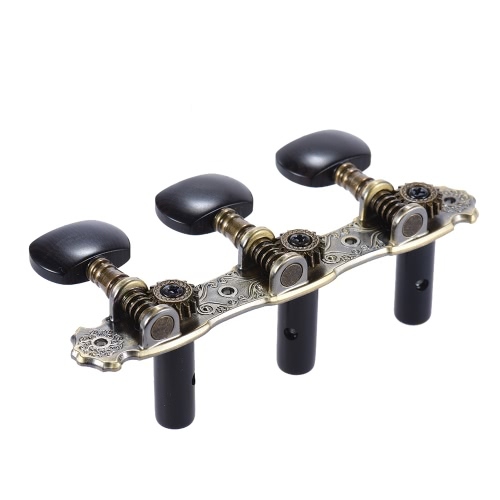 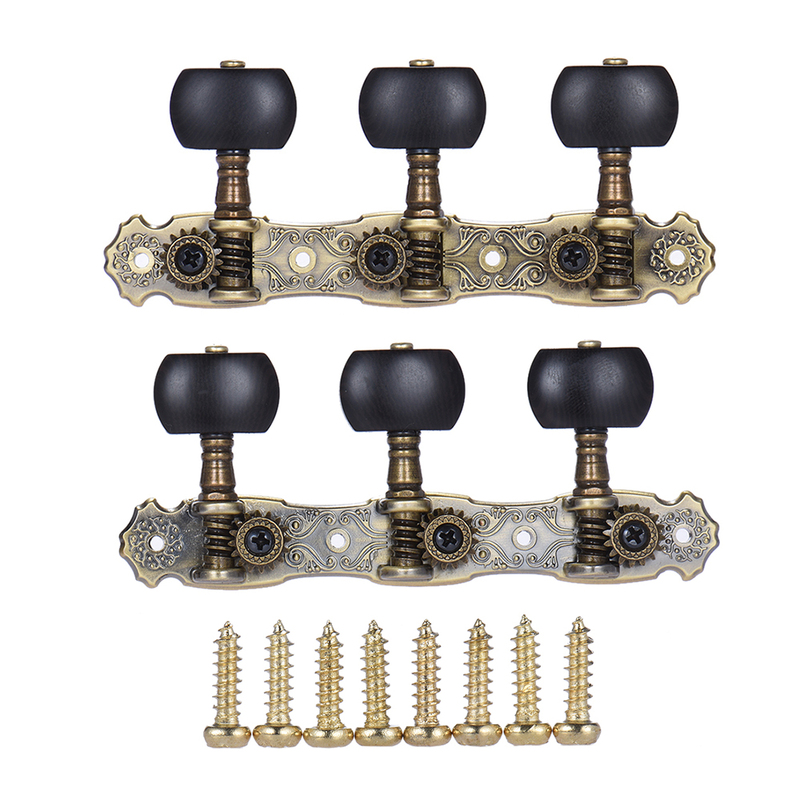 Excellent workmanship, an ideal replacement for your guitar tuning keys.